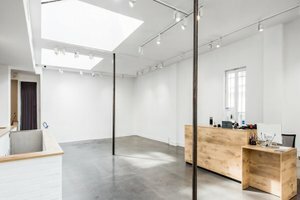 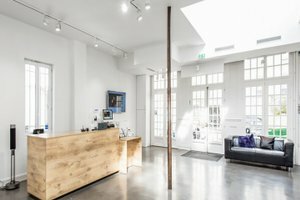 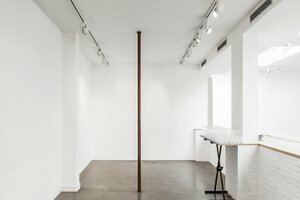 This contemporary retail space of 301 sq m in the bustling area of Le Marais is perfect for brands looking to host a Showroom or Private Sale. 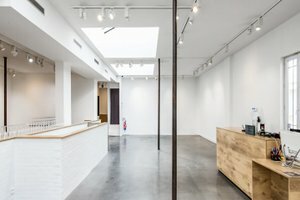 A glass roof, a long wooden bar counter, polished concrete floors, a minimalist and industrial decor between wood and iron. 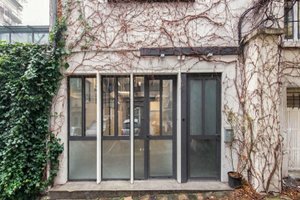 This space for rent brings together all the elements to please the public of the Marais. 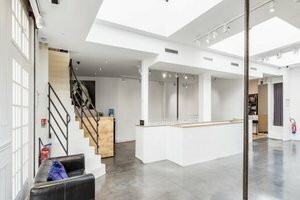 Close to the Saint-Sébastien-Froissart metro station and iconic stores, this prestigious place is suitable for hosting a showroom or ambitious events in one of the main areas of Fashion Week. 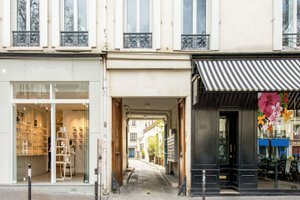 The space is at the junction between different neighborhoods in a perimeter frequented by both tourists and trendy Parisians, discovering the latest trends in the Marais and the Haut-Marais. 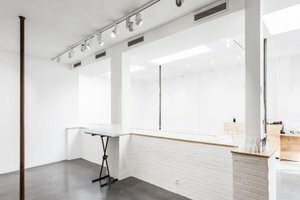 The shopping area is varied and keeps the area lively, especially on weekends, evenings and at meal times. 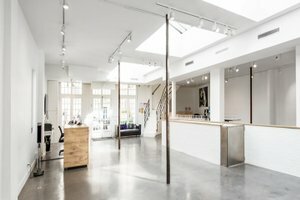 Next to trendy and upmarket venues including Les Jardins du Marais and Grazie Italian, and casual bars like Pop-In and designer boutiques.